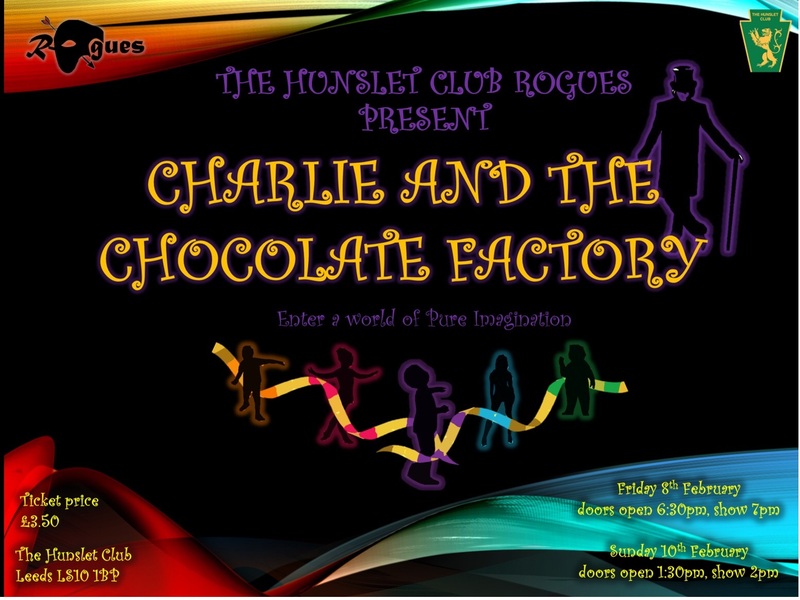 The Hunslet Club Rogues as proud to announce the dates for their upcoming production of Charlie and The Chocolate Factory. 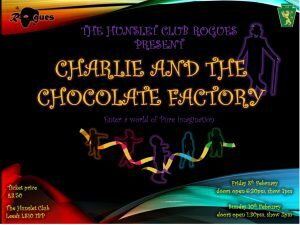 The Rogues have been working extremely hard on what is going to be an amazing show! Tickets can now be ordered at the club with the special New Year price of only £3.50 per person. We have two shows, one taking place Friday 8th February and the second is Sunday 10th February 2019. Contact the club now to secure you tickets.